Does Your Cooling System Have an Issue? Most cars will eventually develop issues that will need professional help. If you car develops an issue in its cooling system, knowing what to look out for can help you get it taken care of quickly. You don't have to a car enthusiast to know what signs to look out for when your car is struggling to operate at its best. For an everyday driver who doesn't know much about how their car operates, simply knowing what signs to look out for can make a significant difference. To help you detect an issue in your cooling system, look out for telltale signs of trouble like the ones listed below. This is one of the most obvious signs that there is an issue with your cooling system because your car is basically letting you know that you need to check your coolant. 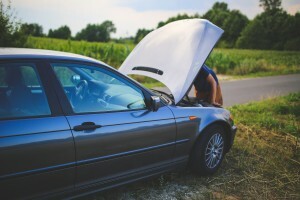 When your coolant light comes on, this generally means your coolant is running low. This may not seem like a huge deal, but driving around with too little coolant can cause your engine to overheat, leading to serious damage and expensive repairs. Because of this, it's important that you pull over right away and check your coolant. If it is running low, top it off with some more of the same coolant before driving to the mechanic to check out why your coolant suddenly started running low. Just like you can figure out if your coolant is running low by looking at your dashboard, you can also detect when your car is running hotter than usual by checking your dashboard's temperature gauge. When you start your car your engine will be cold, so your temperature gauge will likely be all the way to the left pointing at the coldest temperature. As your engine warms up, the needle will move to center, meaning your car is operating at its ideal temperature. If the needle starts to move further and further to the right, this may be cause for concern. Before your engine heats up too much, pull over and let things cool down. There are a number of reasons behind this issue, so it won't be as easy to diagnose on your own. Anything from a broken fan to a blocked radiator can cause this problem, so get your car checked by a professional. If you notice steam is visibly seeping out from under your hood while you're driving, don't ignore this and continue on your trip. Pull over immediately and turn off your engine. Your engine may be overheating and by continuing to push your engine, you can cause some serious damage. Let your engine cool down and open up your hood to let the steam escape faster. Once things are completely cool, check your radiator. You may just be running low on coolant which is easy enough to remedy for now while you make your way to the mechanic for a better inspection. Your car's motor oil can also help your engine stay cool. For the best engine protection, get a synthetic oil change in Chambersburg, PA. Using a synthetic oil like AMSOIL's Signature Series 0W-40 Synthetic Motor Oil can make a huge difference for your car's overall well-being. Contact Cerberus Systems, Inc. at (717) 658-1256 or visit AMSOIL's online store to find all the products you need for your next synthetic oil change. Leaking coolant can cause your car to be low on this fluid constantly. Since a low level of coolant can lead to larger issues, it's important that you get the leak fixed as soon as possible. If you're not sure if you have a leak, look for pooling coolant under your car or even just drops of it. Coolant is a bright green color, so it's hard to miss when you have a leak. Coolant doesn't just leak externally, it can also leak internally and cause other types of issues for your car. Internal leaks may be harder to catch because there won't be coolant drops under your car. Instead, look out for white, thick smoke coming out of your car's exhaust pipe. This white smoke is often the result of your coolant burning in the combustion chamber. Definitely get this diagnosed and fixed by a professional before taking any trips. Keeping up with your fluids is one way to ensure your car is running at its best. Beyond just checking on your coolant, take the time to also check on your motor oil. When necessary, get a synthetic oil change in Chambersburg to keep your engine running strong. Contact Cerberus Systems, Inc. at (717) 658-1256 for the personalized service you need to find the right products for your car.